The 20th century was an inspirational period for physical and engineering sciences applied to medicine. The seeds for the rapid growth of medical physics and biomedical engineering in healthcare were already sown in the closing decade of the 19th century by three important discoveries: x-rays by Wilhelm Rontgen in Germany in 1895, radioactivity by Henri Becquerel in France in 1896, and the electron by JJ Thompson in England in 1897. As with other aspects of technological development, the underlying principles elucidated by physicists were soon turned into practical applications through the skill of engineers. As we enter the 21st century, medical physicists and biomedical engineers continue to play an essential role in delivering modern, effective healthcare in a wide variety of ways. The work of these dedicated health professionals takes place in hospitals, research laboratories, industrial companies, academic institutions, and governmental organisations. In the early second half of the last century, two international scientific and engineering organisations with a large overlap of interests  were founded, both with the intent to support the newly forming national societies in the fields of biomedical engineering and medical physics in their missions to strengthen research and practical applications of their disciplines to improve the health, healthcare and quality of life of all human beings. These two international organizations were the International Federation for Medical and Biological Engineering (IFMBE) founded in 1959, and the International Organization for Medical Physics (IOMP) founded in 1963. In the following years, many other international organisations appeared with objectives similar to those of the IFMBE and the IOMP, spurred by the rapid growth in the scope and increasingly important interaction between engineering as well as science and medicine, coupled with the perception that the IFMBE and the IOMP could not cover the whole field. Many sub-disciplines of medical and biological science, engineering as well as medical physics formed their own organisations, including those for biomechanics, biomaterials, artificial organs, computing in medicine, medical informatics, hospital engineering, nuclear medicine, radiation research, radiation protection and magnetic resonance in medicine. Some developed cooperation with the IFMBE and IOMP, while others appeared to be competing. 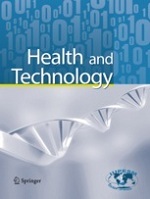 The Federation (www.ifmbe.org), however, considered itself unique in its general coverage of biomedical science and engineering, and firmly believed that this breadth should be retained and that it should work towards building links with and between specialist bodies to encourage interaction and integration . The Federation also considered it important to build a strong bond with physicists working in the medical sector and viewed the IOMP (www.iomp.org) as a potential sister organisation. There was considerable overlap between the activities of the two organisations, and the discussion of a possible collaboration started in the 1970s. Opinions about cooperation differed among the member countries. This was at least partially due to the fact that in some countries the membership in societies for engineers and those for physicists almost totally overlapped, or there was only one common society for engineers and physicists, while in other countries the two groups formed entirely separate associations. After several years of preliminary explorations, the IFMBE collaborated with the IOMP in its Third International Conference of Medical Physics, held in 1973 in Goteborg, Sweden. In that year representatives from the two organisations met and discussed the possibility of collaborating or merging. In order to create the opportunity to exchange views between biomedical engineers and medical physicists, to learn from each other and to think about how to improve cooperation between IFMBE and IOMP, the two organisations held their major international conferences together for the first time in 1976. The two meetings were still separated, but held in immediate succession in Ottawa, Canada, and the leaders of the associations met officially to exchange views on a closer relationship. Agreement was reached in principle that an umbrella organisation should be formed and that the IFMBE and the IOMP should hold joint conferences, although each association would retain its autonomy. In 1979, the conferences were completely merged and held in Jerusalem as the “Combined Meeting of the XII. International Conference on Medical and Biological Engineering and V. International Conference on Medical Physics”, a very special event that triggered the foundation of the long-discussed umbrella organisation for the IOMP and IFMBE: the International Union for Physical and Engineering Sciences in Medicine (IUPESM) in 1980. The joint conference became the “World Congress for Medical Physics and Biomedical Engineering” and was first held under this name in 1982 in Hamburg, Germany. Since then, the World Congress has been organised every three years, the next one being scheduled for 2009 in Munich, Germany (www.wc2009.org). The IUPESM now represents more than 140,000 professionals in over 100 countries. In spite of the difference in membership numbers between IFMBE (>120,000) and IOMP (>20,000), the Union operates based on the principle that there should be equitable sharing between the two organisations. Thus, the surplus generated by the World Congresses does not contribute to the IUPESM income at all, but is shared between the organising national societies, the IFMBE and the IOMP. The IUPESM objectives, as stated in its constitution, are to contribute to physical and engineering science in medicine, to organise international cooperation, to coordinate activities by holding conferences, and to represent the professional interests and views of engineers and physical scientists in the healthcare community. As for all other associations, the key question to be answered when justifying their existence is what the benefits are for their members and how much they contribute to a positive development of society as a whole, with IUPESM focusing on the health and wellbeing of the people. For many years, the only major activity of the IUPESM was the World Congress. New fields of cooperation between IFMBE and IOMP, such as the launch of the book Series in Medical Physics and Biomedical Engineering in 1994, remained largely outside IUPESM. As a logical consequence, members of both constituent bodies started asking whether their umbrella organisation was actually worth being sustained. Such thoughts were nourished by occasional problems that arose due to differences in policy and emphasis, though agreement has always been reached based on the belief that collaboration is more important than controversy. By the end of the 1990s, however, there was only one issue that prevented the Union from breaking apart: the common desire of the IOMP and the IFMBE to be recognised by the International Council of Science (ICSU) as scientific organisations. For many years, the necessary cooperation between IFMBE and IOMP to reach this goal was the bond that kept IUPESM together. Fortunately, IUPESM was admitted to ICSU as a full member in 1999 after many years of hard work by the IUPESM officers, in particular Keith Boddy (IUPESM President 1997-2000), and persistent, convincing discussions between the constituent societies of IFMBE and IOMP with the national members of ICSU, which were mostly the national academies of science. Since its admission to ICSU, the IUPESM has consistently engaged in the establishment of ICSU-sponsored research projects related to health. Though the IFMBE has a long history of working with the World Health Organization (WHO), mainly in support of developing countries, it only started in this millennium to develop really strong activities on professional issues and to become a powerful international player in the area of public health, the global improvement of the health workforce and in advocacy for improved patient safety. Recently the IOMP, too, adopted a more proactive approach to support developing countries, accepting a responsibility towards those nations that may deviate somewhat from past priorities. These developments made it possible for the IUPESM, at its last Council meeting in 2006, to decide on establishing an official relationship and close cooperation with WHO. As a first initiative in this new partnership, IUPESM decided to launch a Health Technology and Training Task Group (HTTTG) with the goal of helping developing countries to improve their healthcare systems by introducing appropriate health technologies and training for their health workforce. At the IUPESM meeting in Seoul during the World Congress 2006, the General Assembly also decided to accept new members to the Union, to further strengthen collaboration between IFMBE and IOMP committees and to start new initiatives in cooperation between the two organisations. So it appears that after 25 years, the liaison between IFMBE and IOMP has begun to bear fruits beyond the common Congress. The IUPESM is starting a new life as an active international representative of the biomedical/clinical engineering and medical physics community. Guide to Physical and Engineering Sciences in Medicine. Available at www.iupesm.org. Masao Saito et al., eds. Meeting Challenges in Medicine & Health Care through Biomedical Engineering, a History of the IFMBE. Amsterdam: International Federation for Medical and Biological Engineering, 1997.